ID: 2367 ~ Source: Waco, Texas: Baseball Vertical File, The Texas Collection, Baylor University. 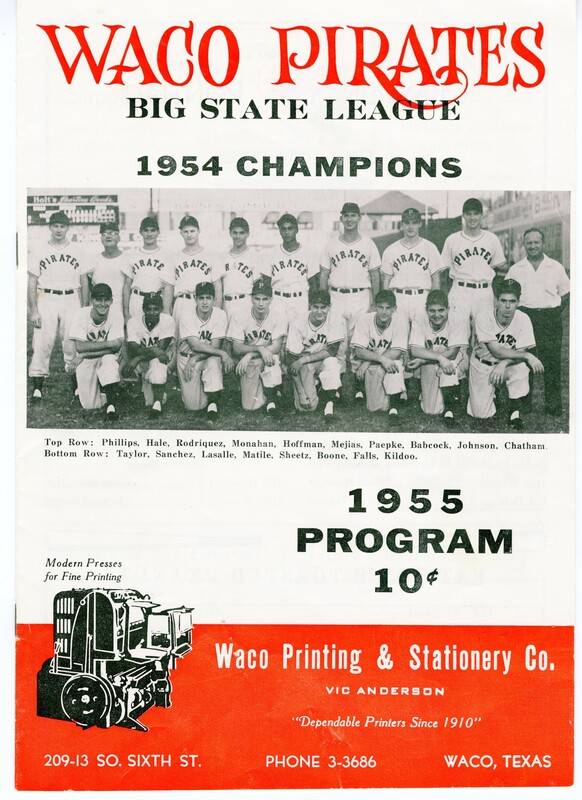 The Waco Pirates beat the Corpus Christi Clippers to clinch the Big State League Championship. The series went to Game 7, with the recovered Jack Paepke pitching at the end to win Game 6. Sportswriter Sam Zygner described Game 7: “In front of the largest crowd of the season—3,316—Don Kildoo got the call to face the Clippers’ big right-hander, Bill Tosheff. 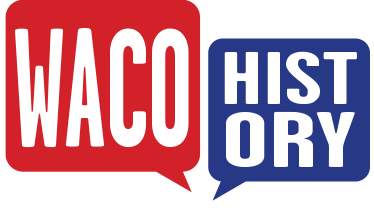 Both clubs traded zeroes until the fourth when Babcock and Taylor hit back-to-back doubles, putting the Pirates up, 1–0. Corpus Christi tied the game in the top of the eighth on a solo home run by Stafford. The Pirates answered in the bottom of the same inning when, with Boone and Falls on the bags, Paepke doubled, plating both. The Pirates had prevailed, 3–1. The 19-year-old Kildoo was masterful and pitched like a veteran, scattering three hits, walking four, striking out nine. The jubilant ‘Baby Bucs’ rushed the field and the celebration was on.” The victorious team was featured on game programs the next year.